Hello, Dear Readers (at least the two or three that have stuck with me). There’s even, thanks Harry Potter, a “cupboard under the stairs” for deep storage, paint and the like, the entrance to which can just be seen in the back of this photo. 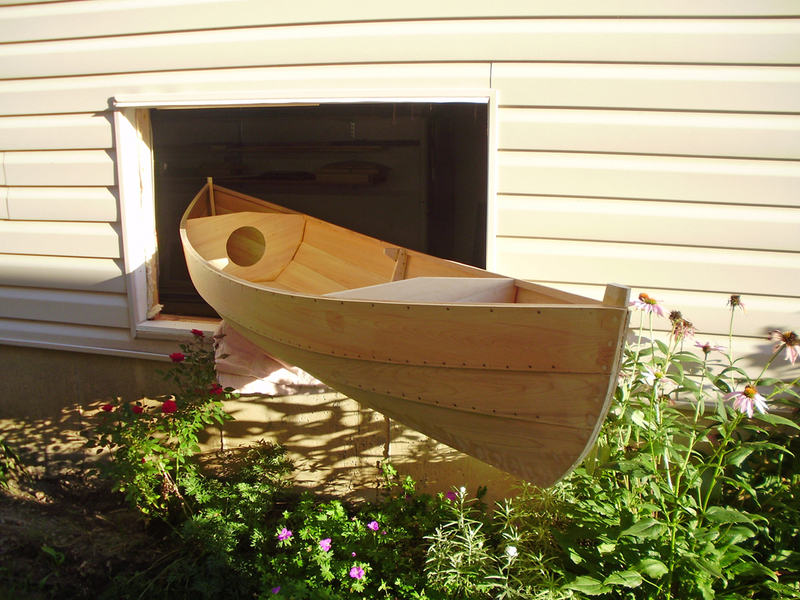 Next step is to bring the OCC canoe down from the storage unit and empirically verify that it will indeed fit through the window. More soon, glad to be back. Thanks to looking for things to do while avoiding preparing our income taxes, I’ve finally gotten around to something I’ve been meaning to do for long time: add image galleries to the blog. You’ll find the first one in the right-hand sidebar. As you might expect, I started with sailing canoes. Not completely happy with the formatting, and I will add captions, but I thought I would put it out there as a teaser while I work out the details. Stay tuned for more. 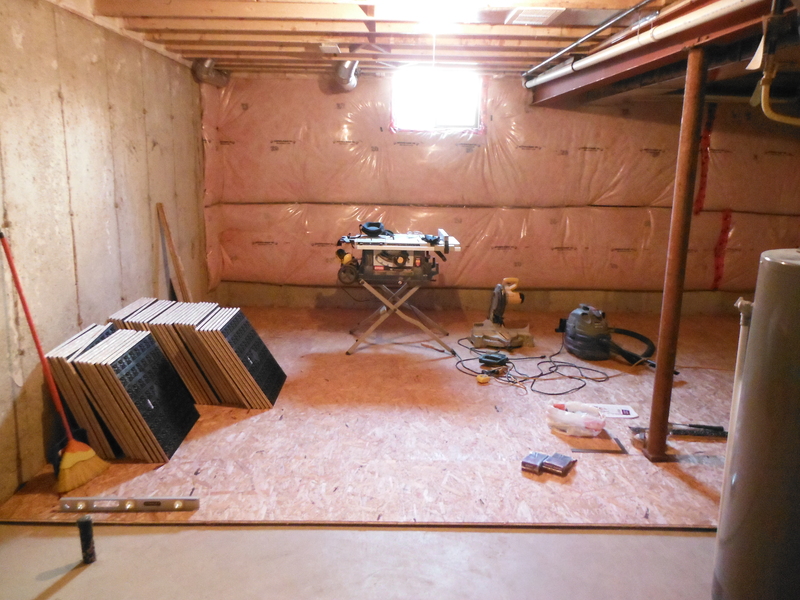 If you’ve been following this blog for a bit, you’ll probably have seen photos of the shop I built in the basement of our house in Peterborough, Ontario. 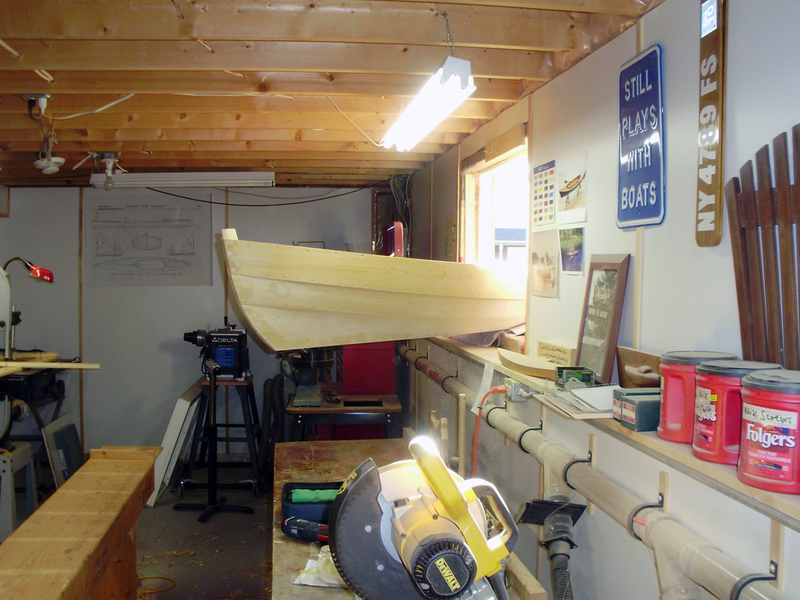 It’s been a great place to work, with just enough space for the kind of small boats I like to build and restore. On their way in or out, the boats leave through the window (though I did once bring a 17′ canoe down in the front door, through the living room and down the stairs just to prove that it could be done). 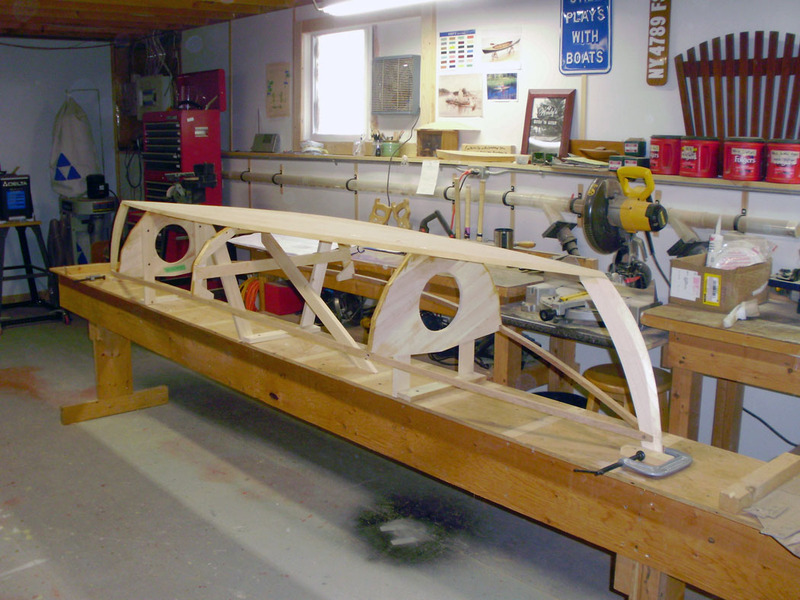 Here’s the planked-up Fiddlehead on her way out to be finished at the Canadian Canoe Museum. If you’ve noticed that the blog has gone kind of quiet lately it’s because of some major life changes that have taken place over the last few months. I had just gotten the Ontario Canoe Company decked sailing canoe set up in the shop and was starting to think about restoration when a new writing project came my way in the form of a commission from WoodenBoat, who wanted a feature article on Harold and Lorna Wilson and their Miss Canada racing powerboats for early in the new year. I was already working on the research for a new exhibit for the Canadian Canoe Museum on the subject of canoes and romance, about which I had been collecting ephemera for some time, and I was also going to write a museum Gallery Guide to accompany it. With those projects in hand, and the restoration pending, I was feeling comfortably well-supplied with things to do. Then, I decided it was time to take a big step. After more than five years as the General Manager of the Canadian Canoe Museum, I was thinking that it was time to get back to the kind of work that got me into the museum business (research, writing, designing and building exhibits, working with artifacts) instead of the kind of work that General Managers do (board meetings, budgets, marketing, staffing and volunteers). When an opportunity presented itself at a museum just west of Toronto, I seized it, and in January of 2014 I started a new job as the Curator of the Halton Region Museum. So far, so good, and everybody is happy now, except that we’re into the “M” word: “MOVING.” I’ve always believed that “good move” is an oxymoron most of the time, but that hasn’t stopped us from making a few of them. 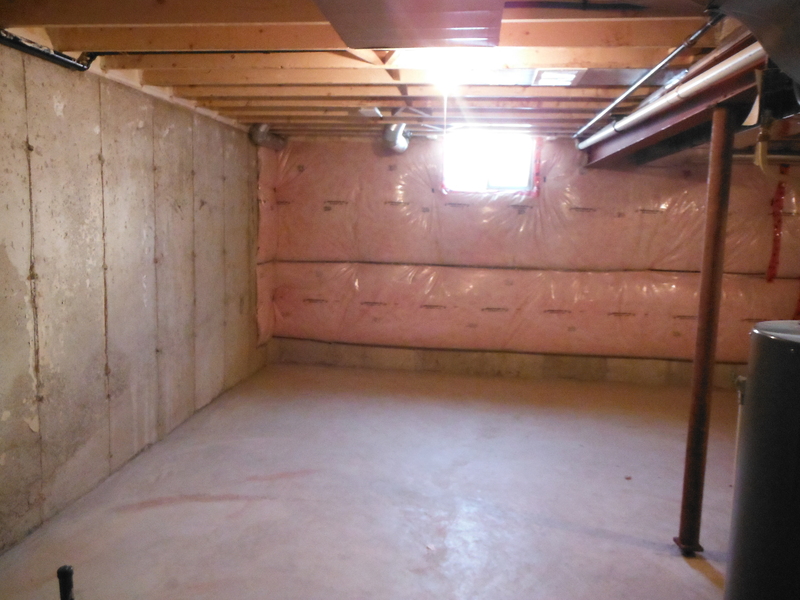 As we looked at new houses, I was hoping to finding something like our place in Peterborough, with an unfinished basement and a decent-sized window. Late in December, we closed on a beautiful new townhouse with just that. So, here’s a pre-project photo of the space where the new shop will go. Most of what I’ve done since New Year’s is just think about this, as opposed to cutting lumber, since the article and the gallery guide took precedence. However, the article’s now done, the gallery guide is at the printer’s, the exhibit opens at the end of April and it’s time to think about the new shop. 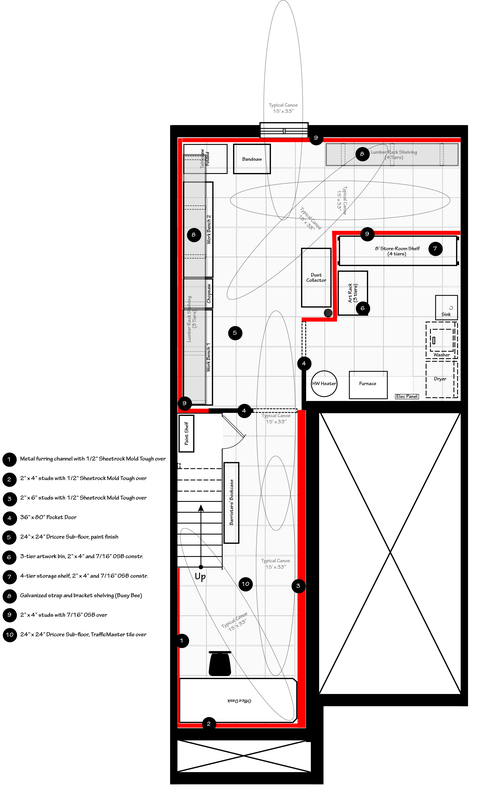 Here’s the plan so far. Please forgive the rather ugly canoe shape–it’s not pretty, but at least it’s the right length and width. As you can see, I’m aiming for tight but functional, since the basement also has to accommodate my office and a laundry room/storage area. 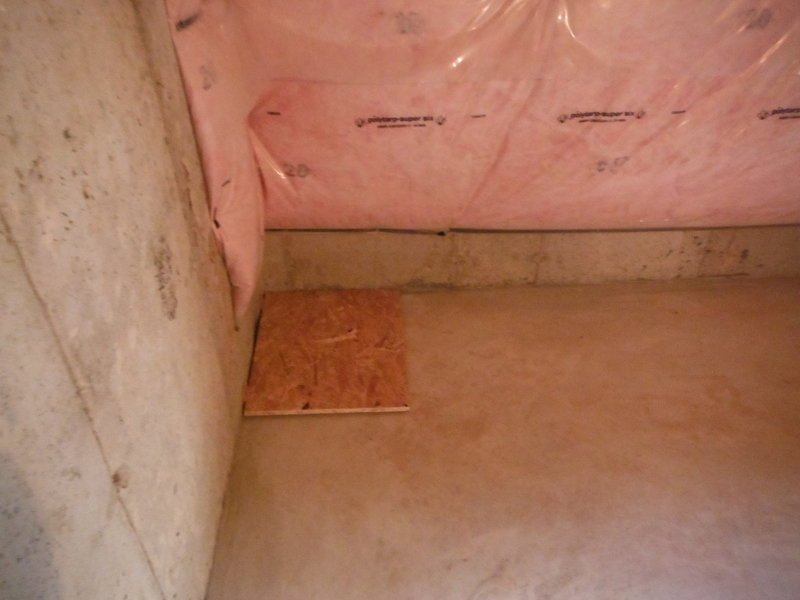 First step is to get the sub-floor down, and I’m just about to start that. The Ontario Canoe Company canoe is still first in line for restoration, but there’s a workshop to build first!